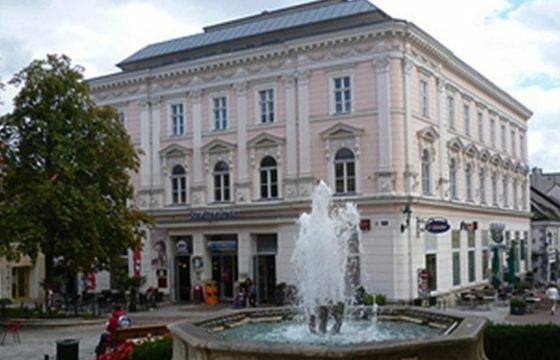 The City-Galery is located in the center of the picturesque old town of Mödling and is easily reachable by car as well by public transport. 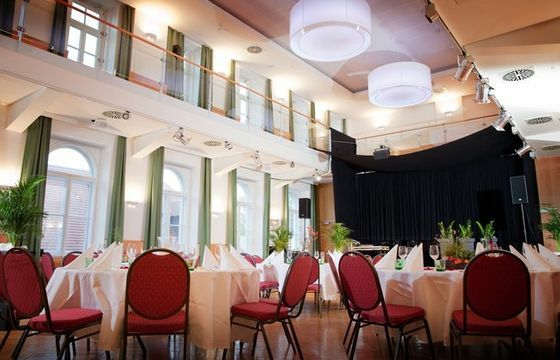 The traditional rooms of the City-Gallery Mödling in the center of the old city Mödling, are available for weddings and business events. 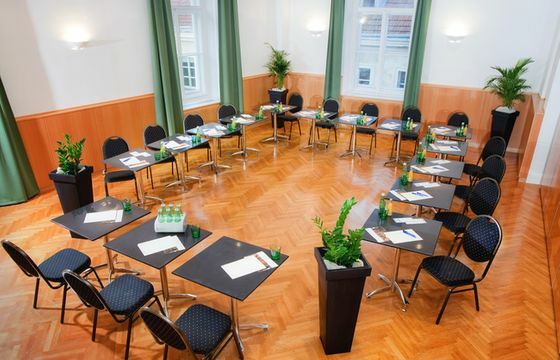 Whether for seminars, workshops, conferences or podium discussions - here you always can find the perfect location for your event. All rooms have daylight and can be dim out. Furthermore, the rooms are separated with a soundproofed accordion partition wall and the seating can be created individually. The basic equipment such as flipcharts and a magnet board can be extended with seminar technology such as a projector and a screen. In all rooms is WIFI access. 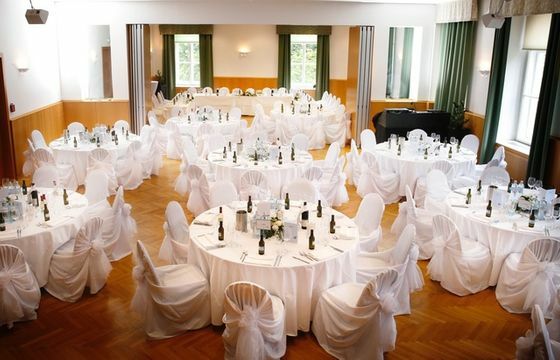 Even with your parties and celebrations, at the City Gallery Mödling you are in good hands. For a culinary setting, according to your wishes and needs, is arranged. 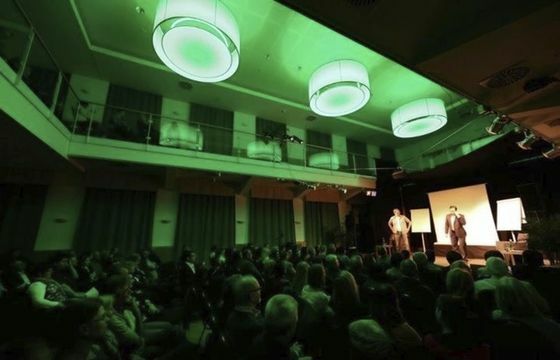 In the first floor there is located a big foyer with a wardrobe and a bar, as well as the Wienerwaldsaal, the Elisabethsaal and the Franz Josef Saal. The second floor consists of the Galerie and the Schubertsaal. Generally all rooms can be rent individually. 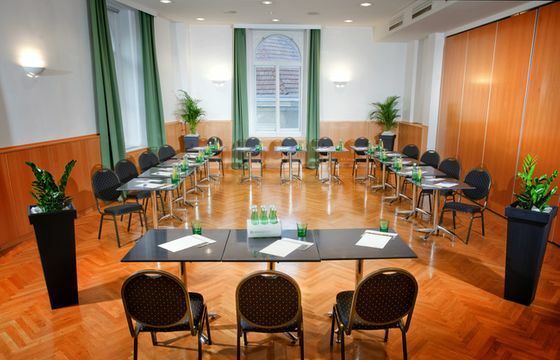 Even the whole first floor (Wienersaal, Elisabethsaal and Franz Josef Saal) or only the Galerie with the Schubertsaal are available. 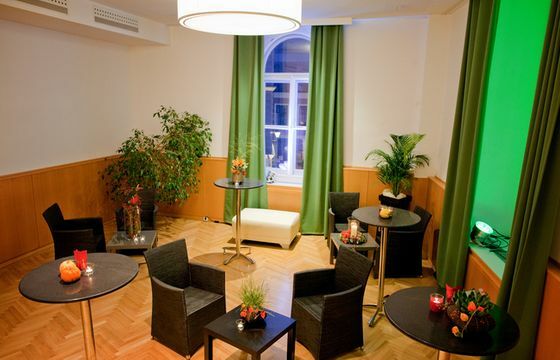 If you are looking for an accommodation to stay, the City-Gallery has a cooperation with the Babenbergerhof (www.babenbergerhof.com), which is only a few minutes away.